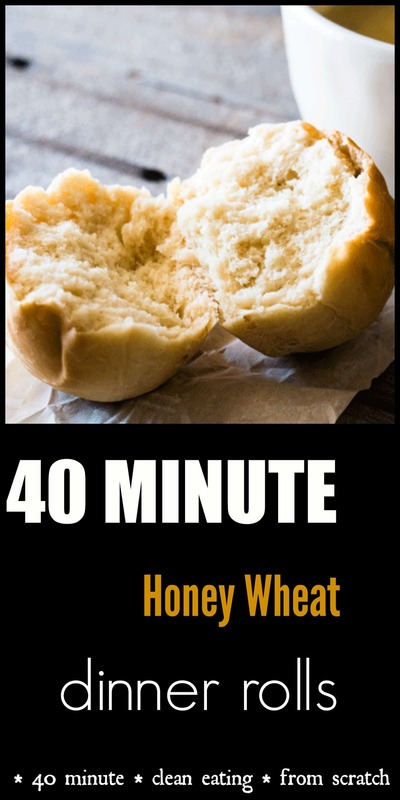 Let me tell you about my 40 minute honey wheat dinner rolls…. It was 30F when we headed to the farmer’s market on Sunday. We must have looked like a couple of eejits, manoeuvring a huge double stroller around the busy stalls at 7am, with two kids so bundled up, you could basically only see their eyes. Oh and the hands reaching out for a share once we hit the pear stand. You would think that I would be used to the cold, having grown up in Ireland. Or in the least, it wouldn’t have felt so bad seeing as we spent a few nights sleeping in a bare essentials cabin in the snow at Yosemite a couple of weeks beforehand. Nope, I was freezey cold. We got our supplies and hightailed it out of there pretty quickly. Oh, and in case you are thinking we are awesome for still going to the markets at 7am, when it is that cold – it was all in the name of self preservation….bad night with whiney kids, means getting out of the house (and having someone else hand me a coffee), is essential business for the day. There is a lot of yeast in these rolls, which is necessary, since we are giving them the bare minimum in rise time. But I guarantee you, there is no yeasty flavour to them. I looked over your easy recipe to possibly bake for a quick meal tonight. But I have a question. What’s the tablespoon of honey for? It’s listed, but I don’t see it used in the recipe, at all. I’m not sure why it would be near the end of the ingredient list, anyway. since he sugar is at the beginning of the list. I’m kind of surprised none of the other commenters noticed. Hi Donna, Thanks for your quick reply. I’m also a recipe creator and food writer, but like to glean from others when I’m at a loss and in a hurry. I baked the rolls. They were so easy to make; really quick. I’ve adapted your recipe using all whole wheat pastry flour, cut the water to 1 cup, because the dough was so wet I had to add an extra 1/2 cup of flour. I also eliminated the sugar and used 1 Tablespoon + 1 teaspoon of honey as yeast food/sweetener and raised the salt to 3/4 teaspoon. I found the rolls a little too sweet for my liking with so much sweetener and so little salt. This morning, we still had a few rolls left (there are only two of us) so I thinly sliced off the tops and bottoms and turned them into whole wheat French toast. Perfect! Thanks again. Ooh yum, I love the idea of using whole wheat flour and making a french toast the next day – perfect way to start the morning! Oh my gosh, rolls and buns are always a favorite of mine and these honey ones look absolutely delicious! I cannot wait to try!! Yay, I hope you love them as much as we do! I doubt my rolls could ever look as good as yours but I like the sound of sweetening it with honey. What a delicious thought! Mmmm these dinner rolls look amazing! I have a fabulous sweet butter recipe that would probably taste amazing with them. I think I’ll have to bake these this weekend–thanks for the recipe! Oh yum, that sounds like the perfect combination! I’m from WI so I get cold, like do not go outside cold. Lol. I hate it. These do seem really easy. Making my own bread always scares me; not really sure why now that I see how easy these are! Thanks so much for sharing. Oh yes, we went to WI during winter last year (silly move), and it was so so cold. There is no way I could live there, I am struggling in California 🙂 Oh and yes, these are super easy!! Wow! This sounds amazing and the fact that it is wheat works for me! Thank you! Seriously? Only 40 minutes? That sounds absolutely incredible. We are complete bread junkies in this house. hahahaa I relate to the cold! I spent 30 years growing up in England, then moved to Southern California. I now think anything below 60 is cold. lol! Haha, it’s funny how quickly your body get’s used to something hey! I seriously cannot handle the cold anymore! The dinner rolls looked oh so good! I can’t wait to try this. My family loves rolls with dinner. Coconut sugar? I have never heard of it, this recipe sounds so delicious. These look so delicious! I can’t wait to include them with our next Sunday dinner!! These look delicious and your photography of the rolls themselves is lovely. I am gluten free, but, my husband is a chef and I plan on floating these past him to see if there’s a GF version he can come up with!! Oh thank you so much Paula, food photography has such a steep learning curve, but I am learning new things all the time, so thats good 🙂 Hope you can get it to work with gluten free ingredients – I would love to hear back if you do! Bread rolls in under an hour is an awesome thing to have in your toolbox. I’ve done rapid rising like this, but will admit that I do not like it nearly as much as dough that’s risen longer. But, when you are in a hurry you can’t be picky. Oh I completely agree Laura, these in no way replace those breads and rolls that have been resting for hours – they are still my favourite types, and I always make them for special occasions. During the week I just never seem to be able to fit the process into my day, so I tend to make more rapid rise versions, like this one! Baking bread sounds super scary at first, but this is a great recipe for giving yeast and bread baking a try. I feel inspired to bake. I’m going to pin this. Thanks! Those look sooo good! I miss being able to eat wheat! Oh no, that would be horrible! I am the biggest bread fan. I have never made rolls from scratch. But I must say I love your ingredient list. It is so wonderful to really know what ingredients are in what we eat. You just might have inspired me to try. Pinning for later. Oh yay 🙂 Thanks so much Stacey! I had actually never made rolls from scratch until recently, when I checked on the ingredient list on the store bought ones, and I just couldn’t put them in the shopping cart! They are so easy, I don’t know why it took me so long! Oh wow! These sound really good! I love it when honey is baked into the bread! I know hey, gives it such a great flavour! Dinner is not complete in our house without some kind of rolls or bread. These sounds super yummy. I will have to try them. Oh we are the same Robin, we are ridiculous when it comes to bread with a meal! These are super easy, and they taste delicious.